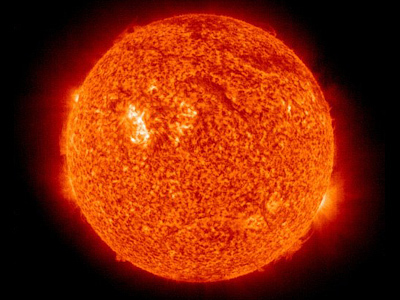 The strongest sun storm in six years has reached Earth early Thursday, endangering the operations of satellites, power grids and navigation systems. ­The storm was unleashed by two massive solar flares earlier this week, rated X, the strongest type on scientists’ scales. 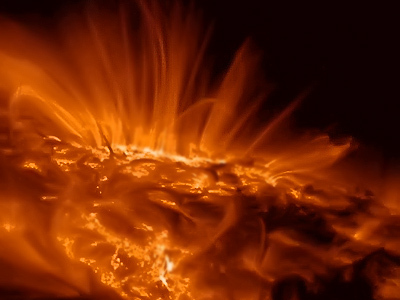 The flares hurled a wave of solar plasma and charged particles into space. As a result of the solar tempest the Northern Lights may be visible at lower latitudes than usual. The beautiful atmospheric phenomenon is caused by the collision of charged particles with our planet’s magnetic field. However, the consequences of the storm are not limited to spectacular sky shows only. 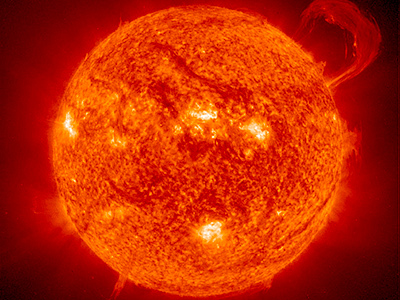 The severe space weather may interfere with satellite communication, affecting phone connections and navigation. The cloud of charged particles launched a geomagnetic storm in the Earth's protective magnetic field, which keeps radiation out. Although the storm cannot destroy the field, it can severely shake it, potentially affecting power grids. As a precaution, power grid operators have been alerted and airlines are rerouting flights away from normal polar routes, said NOAA space weather scientist Joseph Kunches. He also said that the effects of the storm will last for about 24 hours, ending Friday. 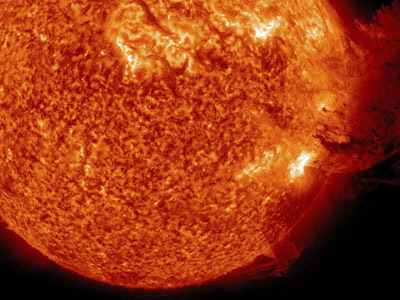 Since the beginning of this year, Earth has already been battered by a strong solar storm, but scientists say the current tempest is stronger than the one that happened in January.